If there’s a lesson that an average Internet user needs to be reminded of until it becomes second nature it’s this – “prevention is worth a pound of cure”. Just as in real life, where the public health practice of systematic inoculation has proven to prevent a wide range of serious diseases (prevention is worth a pound of cure at its best) – giving a computer a “shot” (which SpywareBlaster is designed to do), as part of a layered defense strategy, has proven benefits. Relying on a malware removal tool, following a serious malware infection, is often a fool’s errant since there is simply no way that an average user can be absolutely sure that the infection has been contained – never mind removed. It’s no accident that a huge number of specialty malware removal tools have been developed to address this very issue. Applications which, unfortunately, are often outside the capabilities of an average user. 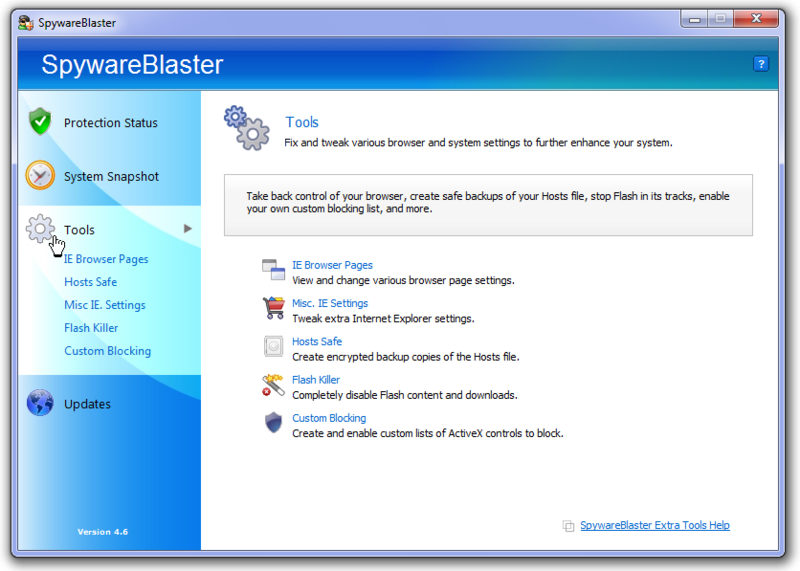 SpywareBlaster, the granddaddy (in a sense), of Internet browser security applications – which has just been updated to version 4.6 – is a free application which is well suited to helping raise those barriers. SpywareBlaster, once installed, doesn’t use any services, or drivers, and does not use memory or processing time. 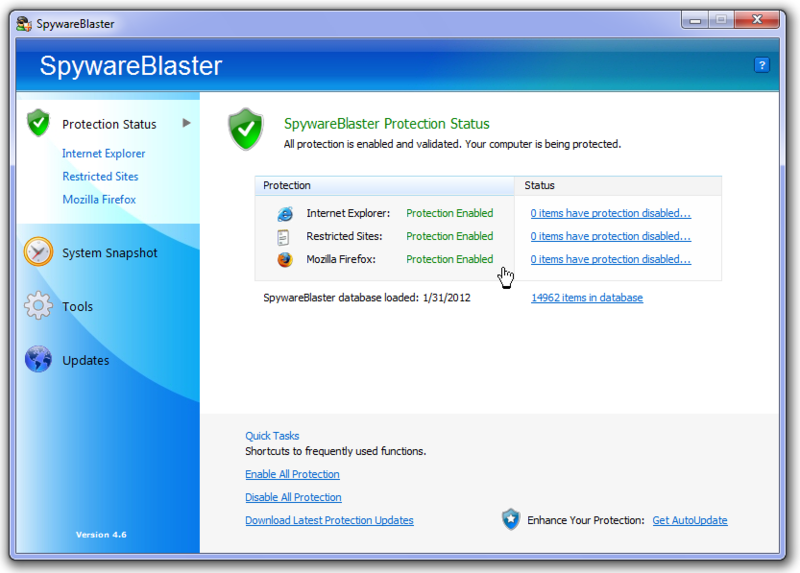 You just open SpywareBlaster, set your protection, close it – you’re protected. 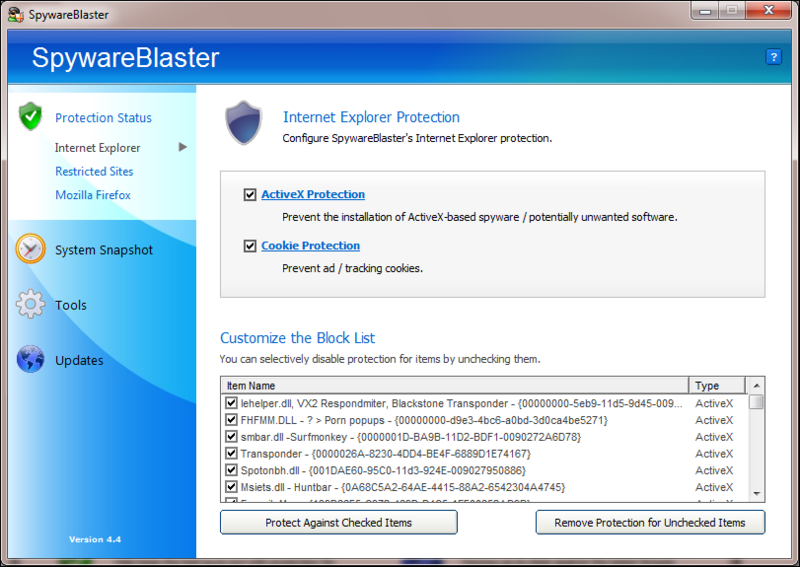 SpywareBlaster continues to provide protection without the need for user interaction. 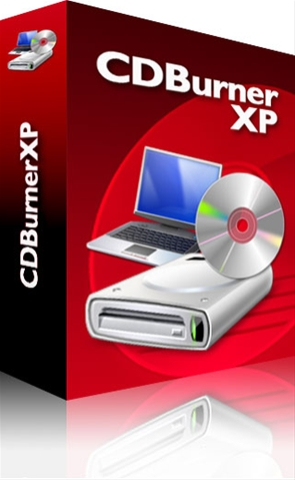 SpywareBlaster doesn’t scan for or clean spyware, since it’s designed to prevent installation only – so, it must be used in combination with your existing antimalware applications. First – a little house cleaning. Enable all protection. 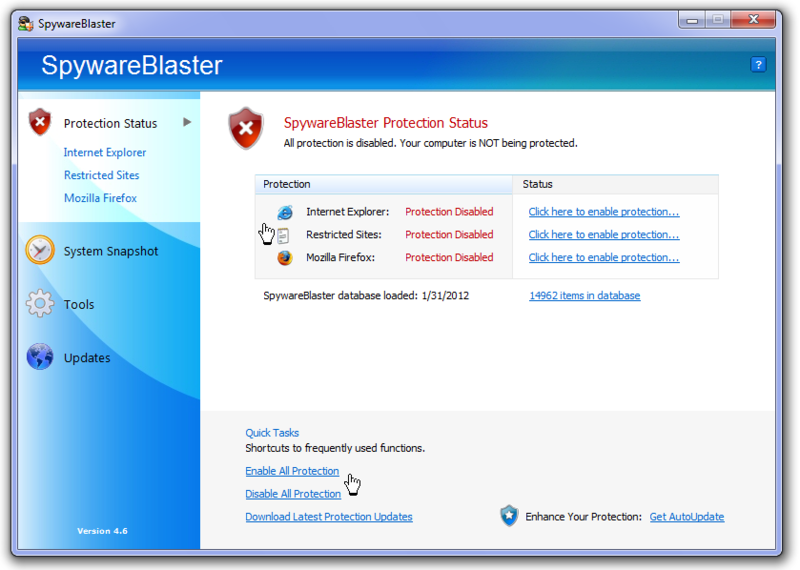 SpywareBlaster continues to provide protection without the need for user interaction. A secondary, but equally important function offered by SpywareBlaster is its ability to block spyware/tracking cookies and restrict the actions of spyware/adware/tracking sites in Internet Explorer, Mozilla Firefox, Netscape, Seamonkey, Flock and other browsers. 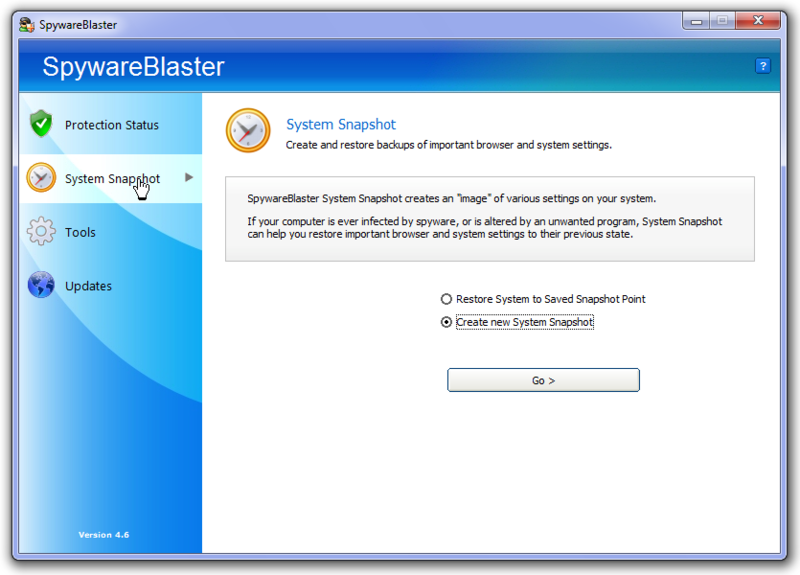 A bonus feature included with SpywareBlaster is – System Snapshot. You can take a snapshot of your computer in its clean state, and later revert to this state, undoing any changes made by spyware and browser hijackers that have infected your system despite the security in place. I recommend that you take advantage of this important feature – just in case. For a more hands on approach – open the Tools menu and fiddle to your hearts content. 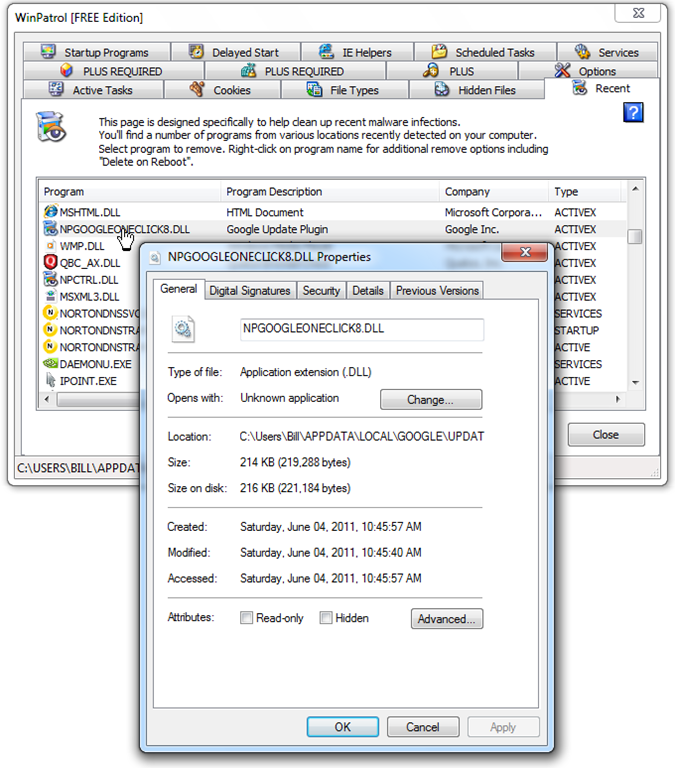 Unlike other programs, SpywareBlaster does not have to remain running in the background. It works alongside the programs you have to help secure your system. SpywareBlaster is definitely low maintenance and the only thing you need to remember is – update the database which contains information on known spyware Active-X controls – regularly. 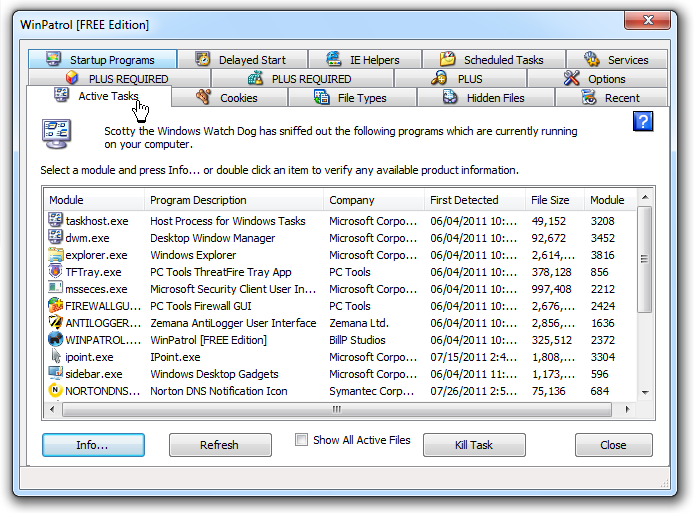 Doc Scrubber – Microsoft Word files can contain more than just text you see while editing them. Depending on the settings or features you use, they may contain all kinds of additional information that you may not want shared outside your home or company. 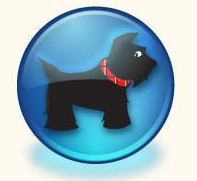 Doc Scrubber lets you see that information, and scrub it from files before sending them to others. EULAlyzer – Discover if the software you’re about to install displays pop-up ads, transmits personally identifiable information, uses unique identifiers to track you, or much much more. EULAlyzer can analyze license agreements in seconds, and provide a detailed listing of potentially interesting words and phrases. Normally, I wouldn’t re-run an application review in less than twelve months – unless the features and benefits of the application had been upgraded, very substantially. Even so, I’m reposting my August 31 review of Tweaking.com Windows Repair, because of the following comments from regular readers and super users – Steve M. and Rocco T.
If you haven’t yet added this outstanding repair utility to you tech toolbox, you may reconsider after reading the following two comments. Since reviewing software (both free and commercial), is a good part of what I do as a blogger, I’ve tested and evaluated more than a thousand applications in the last few years. Sprinkled amongst these applications has been a good selection of “one click simple” computer maintenance solutions. But, “one click simple” computer repair solutions, have been conspicuous by their absence. 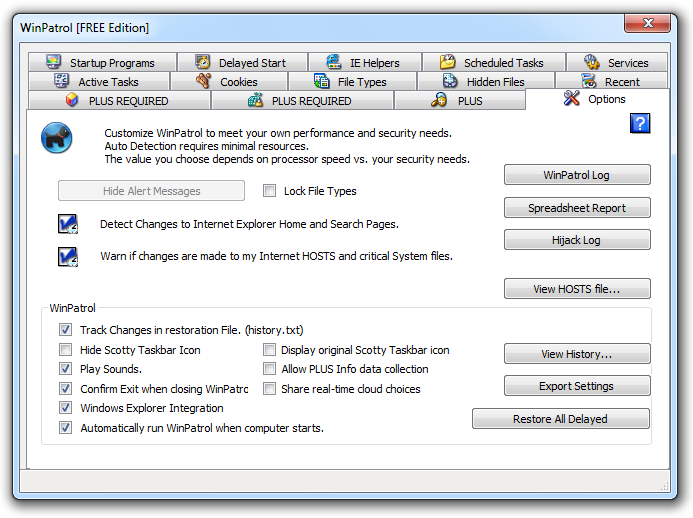 While freeware maintenance applications are readily available for download (and, many of them are very capable), finding a good, solid, freeware application, suitable for less technically inclined computer users, has been more of a challenge – until now. 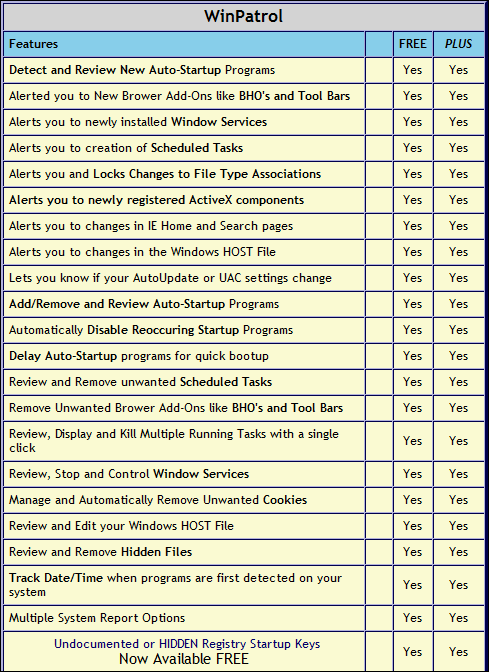 Tweaking.com has just released (August 24, 2011), a super all-in-one repair tool called – what else – Windows Repair. Don’t be fooled by the plain name though. 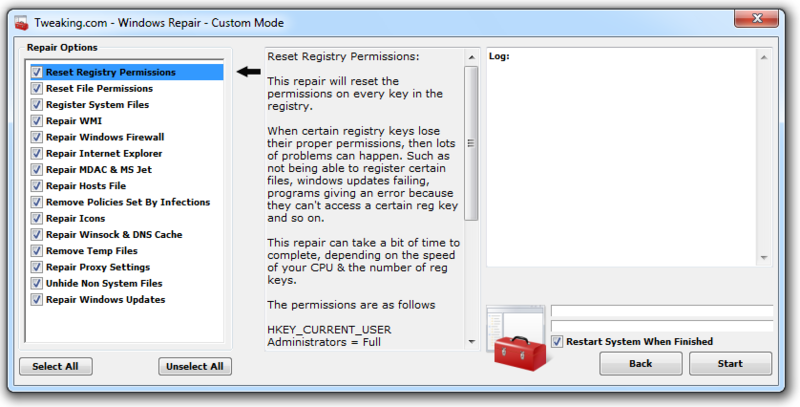 This small tool has plenty of functionality, including the ability to fix registry errors and file permissions – as well as issues with Internet Explorer, Windows Update, Windows Firewall, and more. Windows Repair can even restore Windows original settings which have been changed by malware – a common occurrence. As the application points out in the following screen shot, there’s nothing to be gained by completing a repair sequence if there are errors in the file system. While the system file check is optional, it makes good sense to run this tool. Prior to starting the repair process a System Restore option is available. 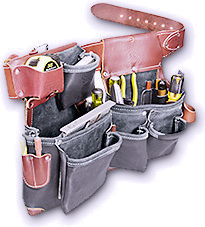 The application provides a three level system of repairs – Basic Mode, Advanced Mode, and Custom Mode. I’ve shown the Basic Mode, and Custom Mode interfaces, in the following two screen captures. 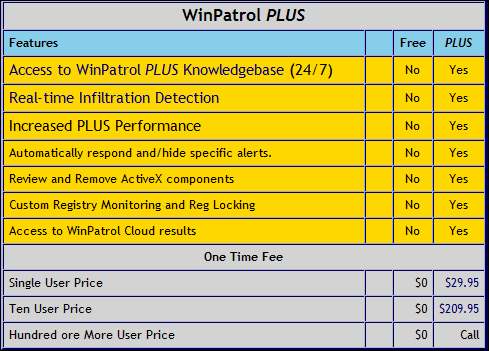 Don’t Have WinPatrol? Look What You’re Missing! I’m often asked to describe the security applications I run on my primary home machine and, I’ll occasionally post an article which does just that. Regular readers will have noticed, that consistent with that old aphorism “the only constant is change”, my choices of security applications over the years have frequently changed. Except for one application – WinPatrol. BTW, Bill Pytlovany, WinPatrol’s developer, accepts and encourages donations. There are loads of free applications out in the wild blue that, used properly and regularly, will speed to the rescue. 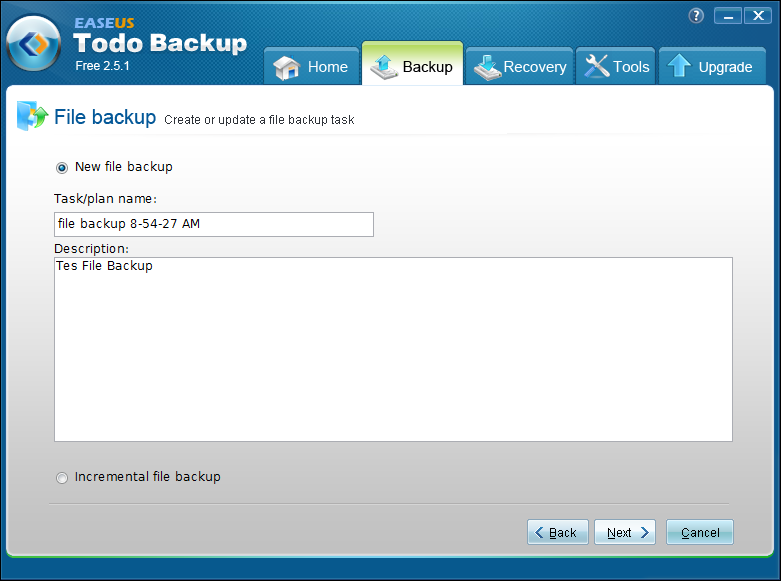 One of the best free program, that I have no difficulty recommending, is EASEUS Todo Backup 2.5.1. This is a brilliant application that will allow you to backup, recover your backups, image your Hard Drives, clone your Hard Drives, and a host of additional features. All of this, in a “follow the bouncing ball” simple, user interface. If there’s an easier way to backup critical data, I have yet to find it. Following installation, a restart is required. 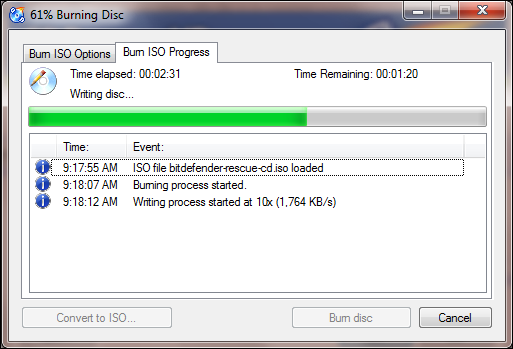 In this case, I choose the task name, selected the folder to be backed up, selected the backup media/location, and ….. Done! 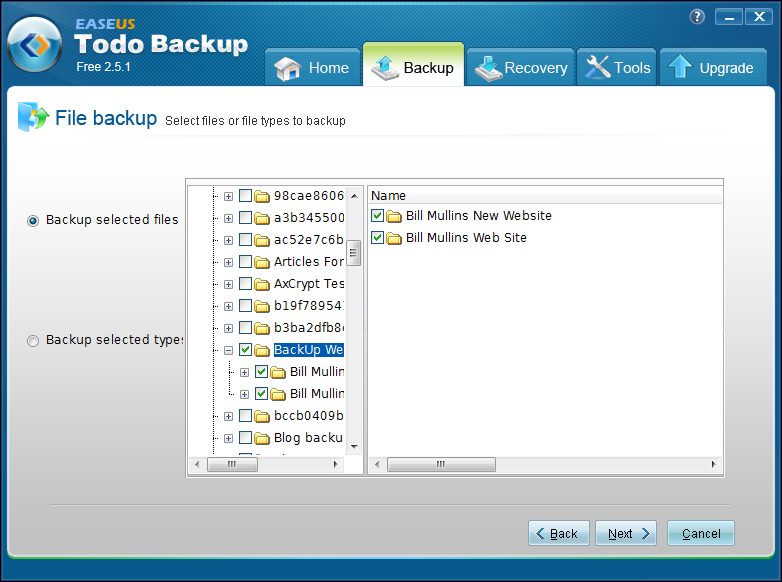 Backup Management – By Managing backup tasks and plans, you can change a backup task or plan and execute the changes immediately, delete image files, and even convert a disk image. Mount and Unmount – Mount a disk and partition image to a virtual partition (working as ordinary, logical drives) to explore or copy files in it. Image Splitting – Split an image file into several files of specified size to fit different storage devices. 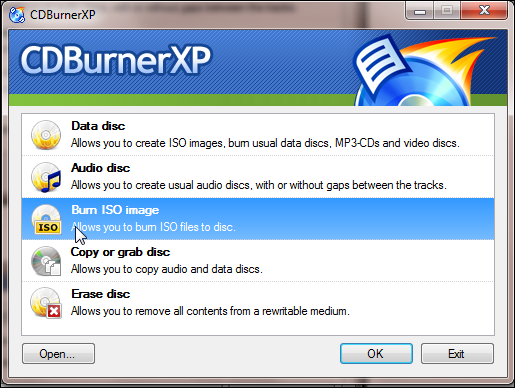 This feature is helpful to burn the backup file to CD/DVD. Image Compression – Compress a backup image to save disk space. The higher compression level, the smaller image is. 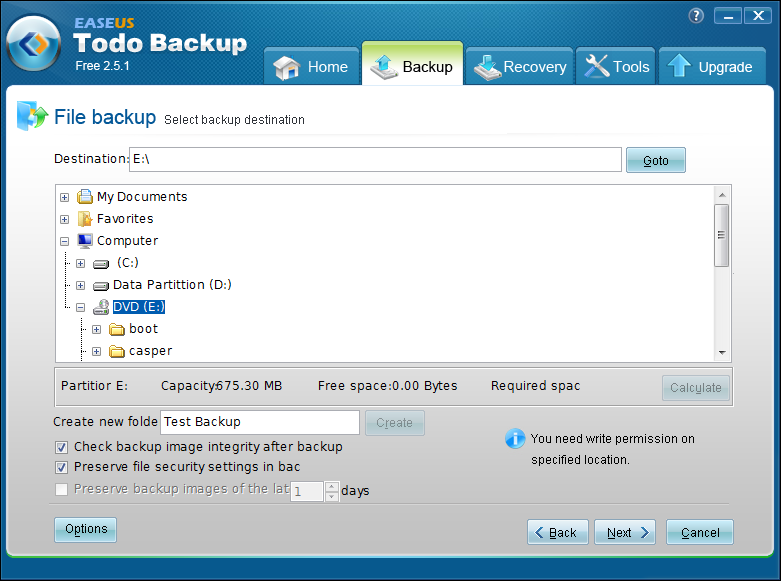 Check Image – Check the integrate of backup image. 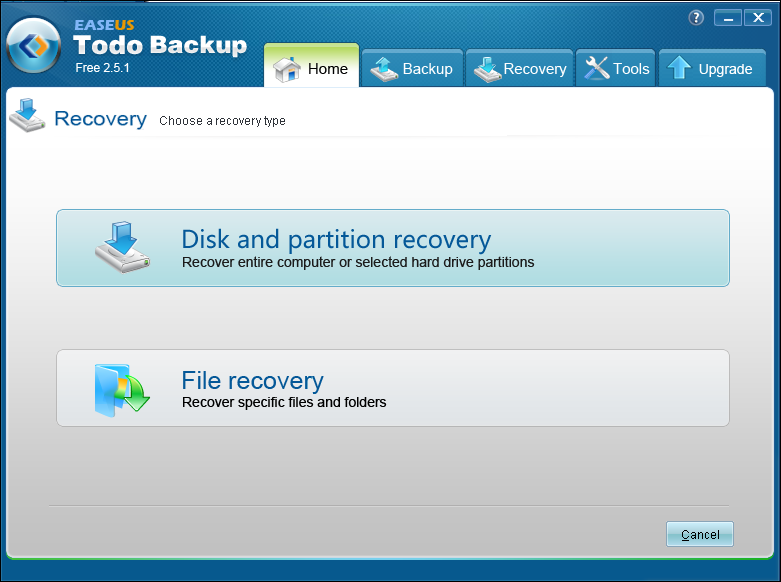 You can validate whether you will be able to recover from the backup image. 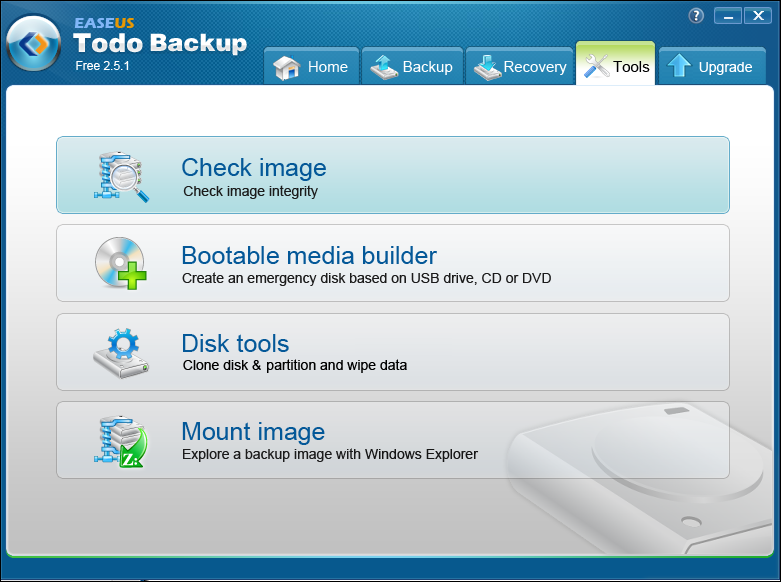 Disaster Recovery – Restore important files from backed up image and perform disaster recovery just by simple clicks. It ensures quick recovery from system crash, a personal error, hardware or software failure, virus attack or hacker’s intrusive destruction, etc. Disk and Partition Clone – Migrate or copy all the data on a hard disk or partition to another. 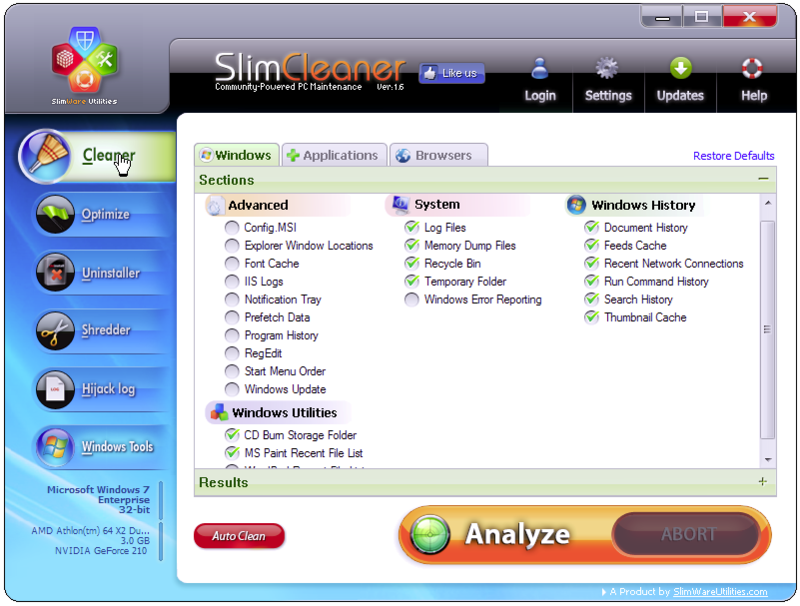 Wipe Data – With this feature, you can erase all the sensitive data on a disk or partition to protect your privacy. 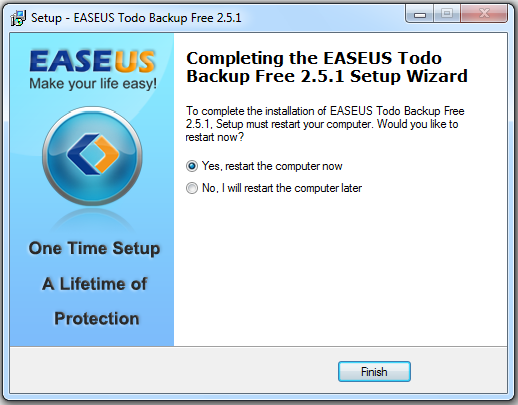 Bootable Media – Run EASEUS Todo Backup from an emergency disk to perform recovery in case of system crash, etc. 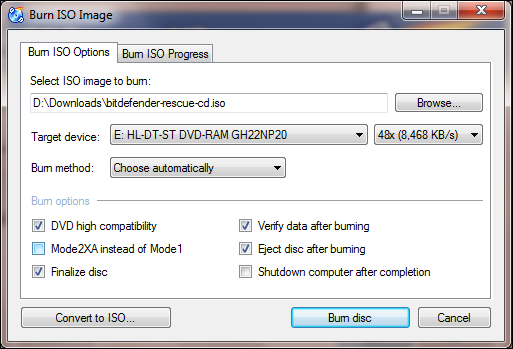 USB drive, CD or DVD Bootable media can be created. System requirements: Windows 2000, XP, Vista, and Win 7 (32 and 64 bit). 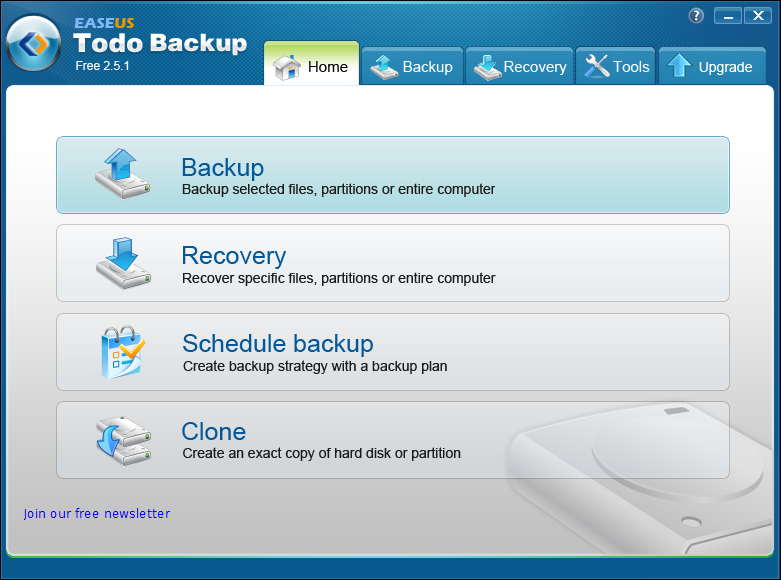 Note: EASEUS Todo Backup 3.0 is scheduled for release in Mid- August 2011. In the meantime, if you’re the experimental type you can download the Beta release – here.